Can a DUI in one state affect me if I move to another state? - Answer from MyDuiAttorney. 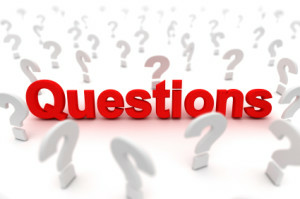 Home › Questions › Can a DUI in one state affect me if I move to another state? 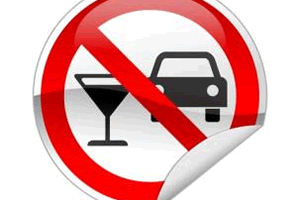 Can a DUI in one state affect me if I move to another state? Only a “DUI Conviction” has the guarantee to be long-term as part of your record and crossing state lines when you move. It will also be posted as a permanent part of your criminal court record against your insurance driving record, and is often made public. Although, there is no guarantee of your DUI Conviction information being available for you to access when you move, it will be kept according to the individual state laws and, at times, restricted to those with specific authority. It has become common knowledge that most states now share DUI/DWI Conviction information, along with supporting and honoring another states’ license suspension. Therefore, it is possible for your DUI Conviction to be treated as if it happened in the state that you are moving to. Especially given that there is a multiple state shared data base. Bottom line, this means that when you move, you will already have at least one strike against you per listed DUI Conviction. There will be instances, such as at the DMV, where information can be misspelled or omitted by mistake as there is a lot of information being imputed and human error can apply. It is important to note, that due to the shared data on insurance records between states, just because information is missed at one does not mean it will be missed at the next. Make sure to point out anything to be corrected. Trust is a very important key you want others to possess for you within this process. You would also find the process of obtaining your new license and insurance severely delayed, even possibly denied, with the availability or lack of DUI Conviction information once moving to your new state. Nearly every national car insurance company has their information posted and accessible. There will be some who are willing to take a calculated risk on you, given that you are willing to pay a higher premium. Remember, insurance companies need to be covered as well, and given your DUI Conviction taking a risk means a higher potential loss for them. 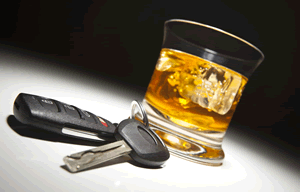 Your DUI Conviction will post as your insurance record for at least seven years. The determinant factor rests solely upon state DMV laws. Keep in mind, actually obtaining your driver’s license is a completely different process. Remember that shared state data? If the new state you are moving to utilizes this, then it is safe to say you will likely be refused a license for their specifically mandated time frame. This would be where that trust factor could seriously come into play. It is possible, once you have their trust, to request application for a work or family support hardship. Experts have noted that some very stiff requirements have been applied to such granted licenses, and yet you would still have a license. In addition to obtaining your license and insurance, when moving with a DUI Conviction it is important unpack your job application properly. Be transparent, be honest, and lay it all out there. Let’s face it, job interviews can be equally paralyzing as public speaking is for most of us. Avoid complicating an already difficult process unnecessarily. Talk openly, answer all the questions asked on the application, whether the information is readily available on the shared state data base or not. If you do not establish trust from the beginning, you are putting your job security at risk. Most companies do background checks in current and former states of residency, leading to potential criminal records. Odds are in your favor when you are transparent, honest, and respect the process of obtaining licenses, insurance, and jobs when moving with a DUI Conviction. Can a DUI felon own a gun? Can a DUI keep me out of the military?